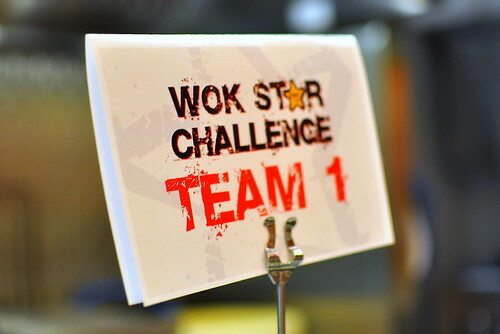 Not last night but the night before, I attended the first-ever Wok Star Challenge at Panda Express headquarters in Rosemead. 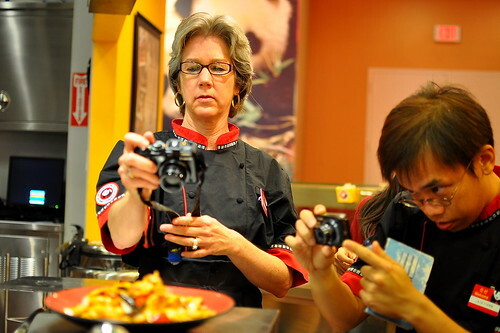 In celebration of the upcoming Lunar New Year, a small group of bloggers was invited to the company’s test kitchen to meet and greet Executive Chef Andy Kao (a.k.a The Creator of Orange Chicken) and compete in a high-intensity cooking contest for charity. Joining me at this totally random, but seriously fun event was Quyen of Kitchen Runway, Hong and Kim of Ravenous Couple, Vernon of Stellar Recipes (a.k.a. The Astronomer), Patti of Worth the Whisk, H.C. of L.A. and O.C. Foodventures, and Jenna of Eater LA. We were randomly paired into teams of two soon after we arrived. The good food gods must have been smiling down on me because I was paired with Eat My Blog baker and all-around fabulous cook Quyen—I couldn’t have asked for a better teammate! 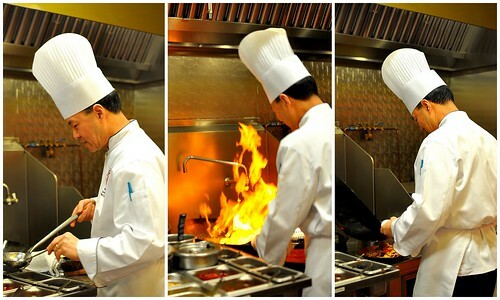 Prior to wokking and rolling our hearts out, we received a lesson on basic knife cutting techniques from Chef Kao. 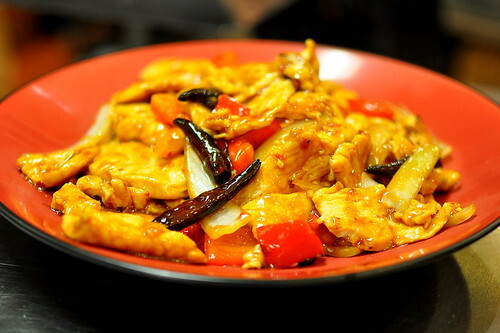 Next, he whipped up a batch of Firecracker Chicken Breast to show us how to manhandle a wok. 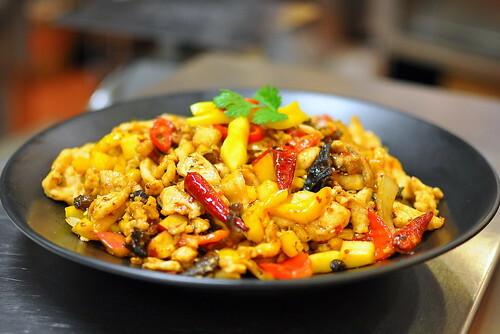 Firecracker Chicken Breast, which is comprised of marinated chicken, chilies, red and yellow bell peppers, and onions coated in a mildly spicy sauce, is available from now until March 1 in recognition of the New Year. For a free single-sized portion of the dish, print out this coupon and redeem it at any Panda Express on February 3. 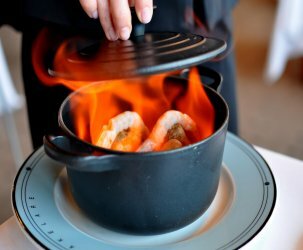 After imparting his knowledge upon us, Chef Andy gave us 20 minutes to choose our ingredients and to prepare a dish that was not only tasty, but prettily plated and New Year-themed as well. 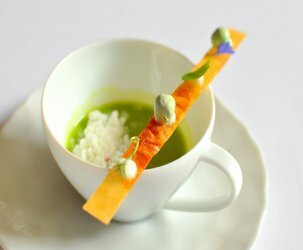 The selection of ingredients on hand was vast and vibrant. 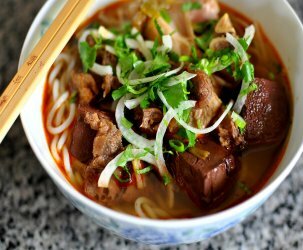 I initially wanted to incorporate the fermented tofu and bitter melon, but ultimately took a different route. 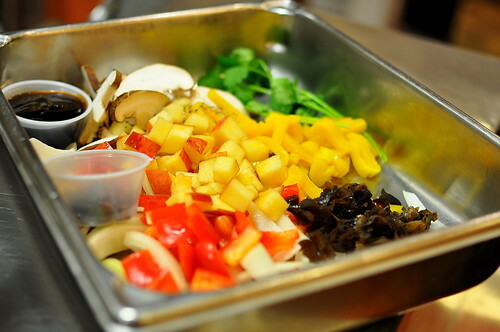 Together, Quyen and I carefully chose oyster sauce, fermented black beans, onions, red peppers, fresh red chilies, Fuji apples, woodear mushrooms, fresh shitake mushrooms, sesame oil, dried chili pods, garlic, ginger, sambal, jackfruit, and cilantro. We felt that these ingredients would meld together harmoniously, creating a flavor profile that was both familiar and interesting. All of the teams were given marinated chicken breast for protein. Quyen and I were way too busy cooking to take photos of the process, but here’s a shot of my teammate garnishing our finished plate of Spicy Jackfruit Chicken! Isn’t she a beauty? With three varieties of chilies at play, along with fresh apples and jackfruit, the dish was fiery and sweet (just like us). After the 20 minutes were up, each team presented their dishes to Chef Kao. He tasted each one and offered comments and critiques. We tried to get a sense of whether or not he liked our creations, but his poker face didn’t give anything away. 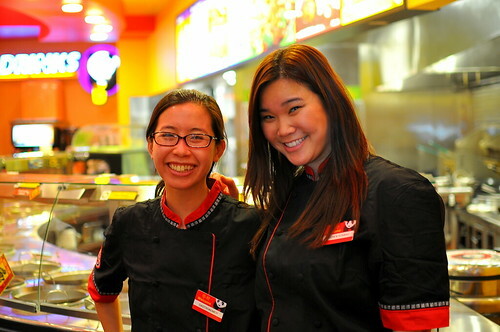 When all was tasted and scored, Chef Kao proclaimed Quyen and me the ultimate Wok Stars! Woo hoo! We were each presented with giant checks for $250 made out to our charity of choice. 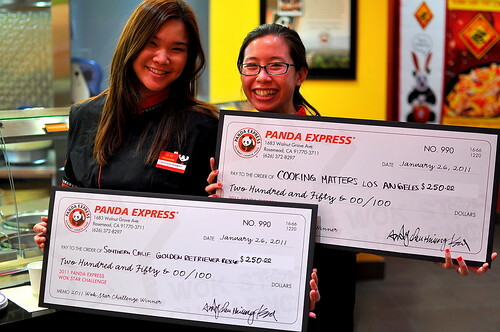 I donated my winnings to Cooking Matters Los Angeles, while Quyen gave hers to Southern California Golden Retriever Rescue. …orange chicken! 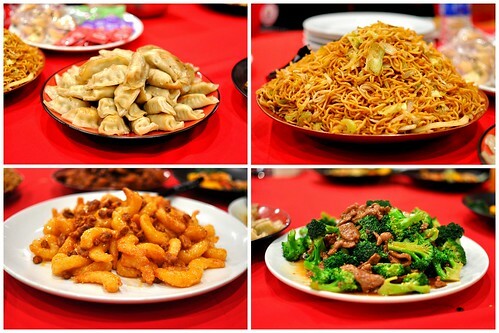 I love Chinese-American food with all of my heart. 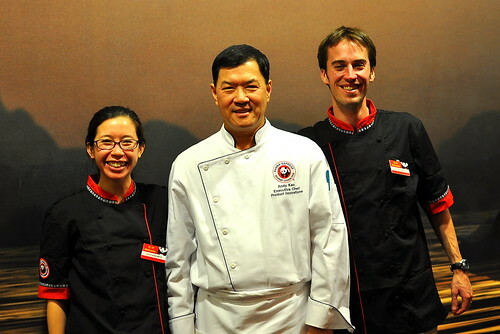 Before departing into the night, The Astronomer and I made a Chef Kao sandwich. Eating in airports and food courts would be a lot sadder if it weren’t for this man. Orange chicken 4-eva. Cathy — you are the best teammate ever! Such an awesome experience! I was hoping that we would be working together! Yay for Spicy Jackfruit Chicken! Enjoyable read as always, thanks. Wow – congrats on your win! I want to try Panda Express now! woohoo-congrats…it was such a great time! Thanks, Panda Express! Congrats!! Orange chicken saved my life while delayed in Baltimore earlier this month! You 2 rocked! Congrats on a Fantastic job! Looks like a lot of fun! Congrats on winning! The WIN couldn’t have happened to a more deserving team, I tasted your entry and it was FABULOUS. Your charities are very lucky. Hope to see you again real soon. Midtown Lunch is so jealous right now. Yay orange chicken! Orange chicken rules! 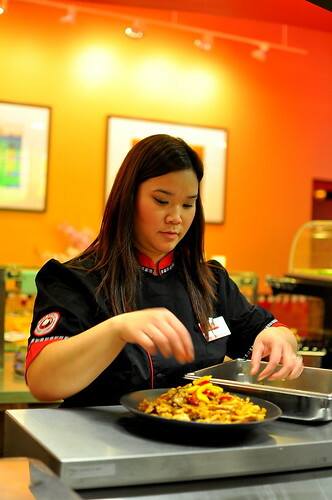 I ate my way through the Panda Express menu in high school when I worked at the mall. Never ever got tired of orange chicken and low mein. awesomeness…of course you would have clenched the win! woot! i love orange chicken..i really do. Congrats on your win! 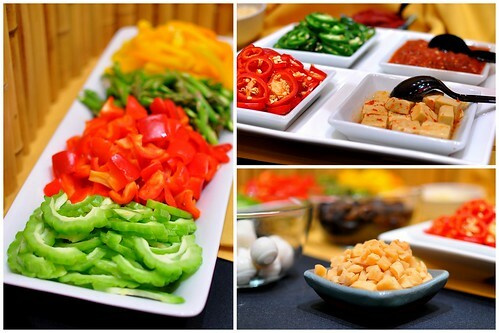 Your dish looks awesome. I’ma gonna be visiting Panda Inn & Xpress more often due to your latest recommendation here. Thank you so much for all the doggies waiting to find their forever homes. omg how awesome! 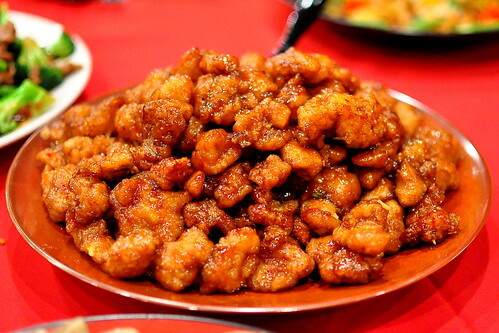 and you got to meet the inventor of orange chicken… did you get the recipe? congratulations too! Hi, my name is Leslie and my classmates and I are starting a Culinary Arts Club in our school. Due to the budget cut, we are not able to afford a trained chef to teach us, we are on our own but we are trying to contact local chef’s to come to our school and show us a bit of what they know. I live in Lynwood CA and I wish to know anyway to contact one of Panda Express’s chef’s? Thank you for your time.